This is a list of all of the endorsed candidates that the VAPBA has endorsed in 2016. We would like to congratulate each of these candidates on their endorsements and we hope to work with them into the future to help make the law enforcement profession better for our members. Please show your support for these candidates at the polls. The Virginia Police Benevolent Association (VAPBA) is pleased to announce that Congresswoman Barbara Comstock (R-VA) has earned the endorsement of the VAPBA for re-election to Congress for Virginia?s 10th Congressional District. Please join The Virginia Police Benevolent Association, The Police Benevolent Foundation and Crossfit Woodbridge in honoring fallen Prince William Officer Ashley Guindon and injured Officers Jesse Hempen and David McKeown by participating in the Hero Workout and fundraiser. 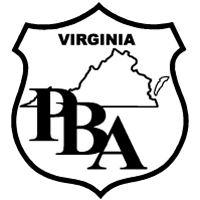 On September 27th, the Prince William County Chapter of the Virginia Police Benevolent Association held a political screening for those candidates running for Commonwealth's Attorney and Board of Supervisors. This is a list of all of the endorsed candidates that the VAPBA has endorsed in 2015. We would like to congratulate each of these candidates on their endorsements and we hope to work with them into the future to help make the law enforcement profession better for our members. Please show your support for these candidates at the polls. The New River Valley Chapter of the Virginia Police Benevolent Association held a political screening for those candidates running for various elected offices. On September 19th, the Loudoun County Chapter of the Virginia Police Benevolent Association held a political screening for those candidates running for Board of Supervisors and Commonwealth Attorney. On September 19th, the Spotsylvania Chapter of the Virginia Police Benevolent Association held a political screening for those candidates running for Board of Supervisors and Commonwealth's Attorney. Recently, political screenings were conducted for the office of Fairfax County Board of Supervisors. The following candidates participated in the screenings, and your PBA board has elected to endorse their campaigns. The election for these offices will be held in November 2015. The Southeast Chapter of the Virginia Police Benevolent Association is proud to announce the endorsement of Ali Sprinkle for Portsmouth Commonwealth Attorney. The Prince William County Chapter of the Police Benevolent Association is proud to announce their endorsement of Scott Jacobs for Brentsville District County Board of Supervisors. The chapter held its first Board of Supervisors screening and endorsement process on November 8, 2014. Prince William County law enforcement professionals made up the panel that interviewed the candidates. The candidates answered questions about issues important to members of the Prince William County Chapter and were evaluated on their responses. The Virginia Police Benevolent Association, Inc. (VAPBA) is proud to announce its support for the election of Barbara Comstock for the 10th Congressional District in Virginia. This is a list of all of the endorsed candidates that the VAPBA has endorsed in 2014. We would like to congratulate each of these candidates on their endorsements and we hope to work with them into the future to help make the law enforcement profession better for our members. Please show your support for these candidates at the polls. The Virgina Police Benevolent Association is committed to keeping you informed of federal legislation that may affect your work-life, pay and benefits. The Northern Virginia Chapter of the Police Benevolent Association is proud to announce their endorsement of Alex Iden for the office of Winchester City Commonwealth Attorney. On October 7, 2013, the Central Virginia Chapter of the Virginia Police Benevolent Association held a political screening for those candidates running for the office of Albemarle County Board of Supervisors. On September 18th the Hampton Chapter conducted its political screening for the upcoming November elections for the House of Delegates and the Hampton Commonwealth Attorney. On August 22, 2013, the Fairfax County Chapter of the Virginia Police Benevolent Association held a political screening for those candidates running for Virginia House of Delegates for the 10th district. On August 22, 2013, the Fairfax County Chapter of the Virginia Police Benevolent Association held a political screening for those candidates running for Virginia House of Delegates for the 34th district. On August 10, 2013, the Virginia Police Benevolent Association held a political screening for those candidates running for Virginia Governor. On August 22, 2013, the Fairfax County Chapter of the Virginia Police Benevolent Association held a political screening for those candidates running for Virginia House of Delegates for the 40th district. The Fairfax Chapter of the Virginia Police Benevolent Association held its first political screening on August 22th and August 23rd of 2013. It was quite fitting that our largest state chapter would hold the largest screening in the history of the Virginia Police Benevolent Association. This is a list of all of the endorsed candidates that the VAPBA has endorsed in 2013. We would like to congratulate each of these candidates on their endorsements and we hope to work with them into the future to help make the law enforcement profession better for our members. Please show your support for these candidates at the polls. On August 6, 2013, the Prince William County Chapter of the Virginia Police Benevolent Association held a political screening for those candidates running for Virginia House of Representatives. On August 10, 2013, the Virginia Police Benevolent Association held a political screening for those candidates running for Virginia Lieutenant Governor. On August 10, 2013, the Virginia Division of the Southern States Police Benevolent Association held its board meeting and political screening process. The Prince William Chapter of the Police Benevolent Association held its first political screening. The Prince William Chapter of the Police Benevolent Association held its first political screening on August 6, 2013. The chapter is proud to announce that eleven candidates for the Virginia House of Delegates. On July 16 2013 the Virginia Division hosted another successful PBF Behind the Badge Suicide Prevention Seminar. Guest speakers Tim Rutledge and Jim Sewell,once again, did an outstanding job presenting this vital information to law enforcement professionals from the Central and Northern Virginia Area. Members of the Alexandria Chapter of the Police Benevolent Association have expressed deep concerns over the City Manager's proposed changes to the City's health insurance program and the police and fire pension. Both of these changes will have a major impact on the lives of police officers and their families. While our officers have long lagged behind our comparator jurisdictions in salary, they have always been able to point to their benefits as something that helped maintain their compensation level; this is no longer the case. Fellow officers establish a fund to help a Lynchburg Police officer fighting Cancer. Officer Jordan Spaeth, 26, was diagnosed with testicular Cancer in December. The Blue Ridge Chapter of the Virginia PBA is set to aid fellow member Jordan Spaeth started with the Lynchburg Police Department several months ago, after working for three years with the City of Bedford Police Department. Alexandria Chapter member Peter Laboy was shot on February 27th after making a routine traffic stop in Alexandria. The bullet struck Officer Laboy in the head, critically injuring him. The PBA is committed to serving our members and will respectfully and systematically fulfill all of our benefit promises made to our members. I wanted to outline the PBA's response to this incident and what we are planning on doing to ensure Pete and his family get everything they need during this horrible time. The Virginia Police Benevolent Association is committed to keeping you informed of legislation that may affect your work-life, pay and benefits. The Police Benevolent Foundation's first Behind the Badge Seminar for 2013 was held in Hampton, Virginia on January 25, 2013. The seminar was a great success and a great start for a new year. Congratulations to Senior Virginia Conservation Police Officer Dewayne Sprinkle for being named the National Wild Turkey Federation Wildlife Law Enforcement Officer of Year for the Virginia Chapter of the NWTF. Jefferson County Sheriff Robert E. Bobby Shirley has tendered his resignation, Jefferson County Commissioner Patsy Noland said Friday. Noland said Shirley dropped off a one-sentence letter of resignation at her home between 5:30 and 6 p.m. The Virginia Police Benevolent Association proudly presents Amanda Hood with the Police Benevolent Foundation Scholarship for the VAPBA. Chapter members and dignitaries met on October 20th at Mr. Rick Sharp's farm in King George Virginia for the event. Hosts Craig Suro and Chris Rivers spent the afternoon with PBA members enjoying the beautiful fall weather and smoked pork barbeque. Virginia PBA President Joe Woloszyn has come a long way in a short time as a PBA leader. As soon as Woloszyn became a member he began to play an intricate role in the activity and growth of the Fairfax County Chapter and has made it one of the most successful chapters in Virginia this year. The Alexandria Screening Process for the upcoming general elections was held on September 18, 2012 at the Hampton Inn in Alexandria. Chris Flood, Dennis Andreas, Matt Weinert, and I were panel members for the Mayoral and City Council candidates. A state panel was also formed and a screening was done for candidates from Congressional Districts 8, 10 and 11. Members of the State Board panel were: Joe Woloszyn, Sonny Nipper, Marta Goodwin and Tommy Ground. This is a list of all of the endorsed candidates that the VAPBA has endorsed in 2012. We would like to congratulate each of these candidates on their endorsements and we hope to work with them into the future to help make the law enforcement profession better for our members. Please show your support for these candidates at the polls. This week our efforts in Richmond at the General Assembly were met with some success. House bill 675 would raise the threshold amount of Grand Larceny to five hundred dollars, but would have also made it more difficult for our Conservation Police Officers to develop successful cases against wildlife violators selling animal parts. This bill failed to come out of the Criminal sub committee of the Courts of Justice Committee. The Senate bill on the same issue is SB71, this bill will pass out of the senate and will head to the House at crossover. We will watch to see if the House kills the bill as they did HB 675. The Virginia Division conducted political screenings across the state for local and state office elections held in November 2011. Our screening committees, made up of local chapter boards and members, met with over forty candidates. A total of twenty seven candidates were endorsed, twenty three of those candidates won their elections! Our screenings took place in Loudoun County, Charlottesville, Lynchburg, Radford and Newport News. This is a list of all of the winning candidates that the VAPBA endorsed in 2010. We would like to congratulate each of these candidates and we hope to work with them into the future to help make the law enforcement profession better for our members.